Mini-Bosses Mod includes a couple of new difficult mobs to the game notwithstanding a couple of “micro-bosses” which are standard mobs with arbitrarily relegated properties. 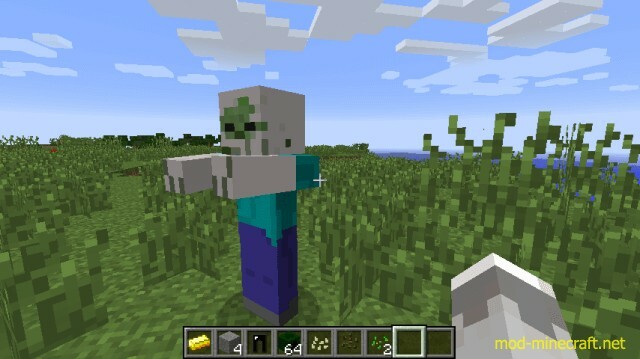 These mobs are inspired by rouge-like games in the sense that they have completely random properties assigned to them (Along with custom names). 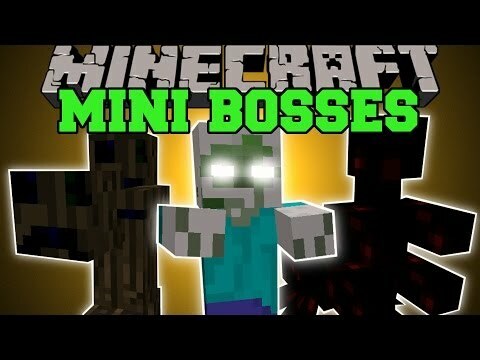 Right now only Zombies and Skeletons have a chance of spawning as Micro-Bosses. The Iron Zombie is a rather tough, agile mob that can disarm players that attack it. Be careful though, it doesn’t burn in sunlight and has a dark side to it. The Forest Guard does not appreciate Steve’s teardown of the local forest, so he decided that a suitable solution would be to hunt him down while carrying the head of one of his fallen trees. The Crawler is a half-human half-spider hybrid that has lost it’s ability to climb. This foe should be avoided unless very powerfully geared. Please note that all of these descriptions are intentionally vague. 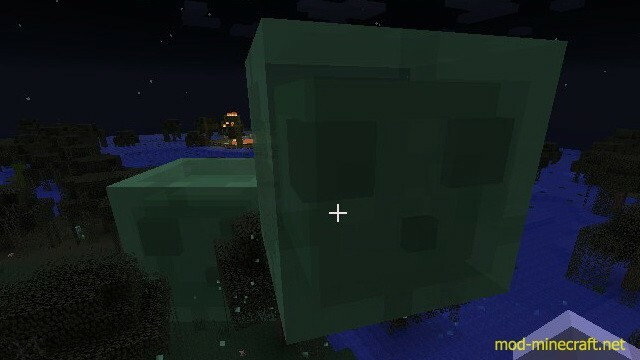 You should learn more about these mobs by fighting them yourself. If you want more or less of them, their spawn rates can be configured in the configuration file. This mod adds a small amount of blocks and items. First we have the slime block, which is great for growing crops and can be crafted in the traditional storage block shape. We also have Dark Iron Ingots, which can be obtained from killing Iron and Dark Iron zombies. Those ingots can be used to create Dark Iron Armor, which provides various buffs and debuffs. At night, the armor gives you a variety of positive potion effects, and also protects you extra from undead enemies. However during the day, the armor takes damage much more easily, so you may want to take it off.